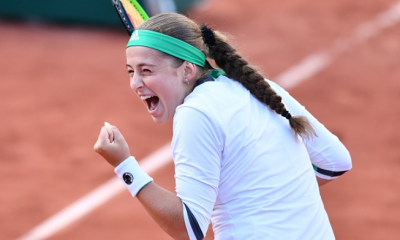 With the French Open right around the corner, we look at 5 players who could cause a stir at Roland Garros this month. With Roger Federer already out, and the likes of Andy Murray, Novak Djokovic and Stan Wawrinka far from playing at the top of their respective games, these five outsiders all have a shot at getting to the second week and beyond. The 23-year-old is in the form of his life right now, and is currently at a career-high 7th in the ATP world rankings. He has reached two finals and a semi-final in his last three tournament appearances. He lost to Rafael Nadal in the Barcelona Open in April (having beaten Andy Murray in the semi-final), before losing to him again a fortnight later, in the Madrid Open final in May. 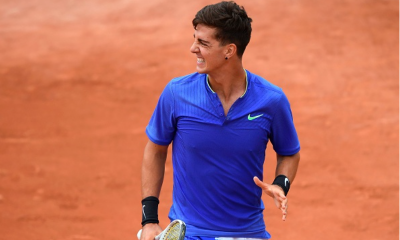 He made the Italian Open semi-final at the back end of the month, losing to eventual runner-up Novak Djokovic 6-1 6-0, but despite that humbling, Thiem is still in electric form heading into the French Open on May 28, and will be a threat to the major players looking to win it all. Zverev has only ever made the 3rd round of a Grand Slam, but the 20-year-old is also in the form of his life, and the only way is up for the young German. He is one of the most exciting young players in the game right now, and will be looking to make the second week, at least, with a favourable draw. 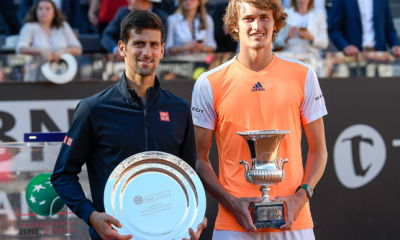 The 6’6 German is no stranger to big matches either, he already has four career singles titles, including an outstanding 6-4 6-3 victory over Djokovic in the Italian Open final this month, his first Masters 1000 title. Isner is currently ranked 22nd in the world, and is the only player on this list above the age of 23. 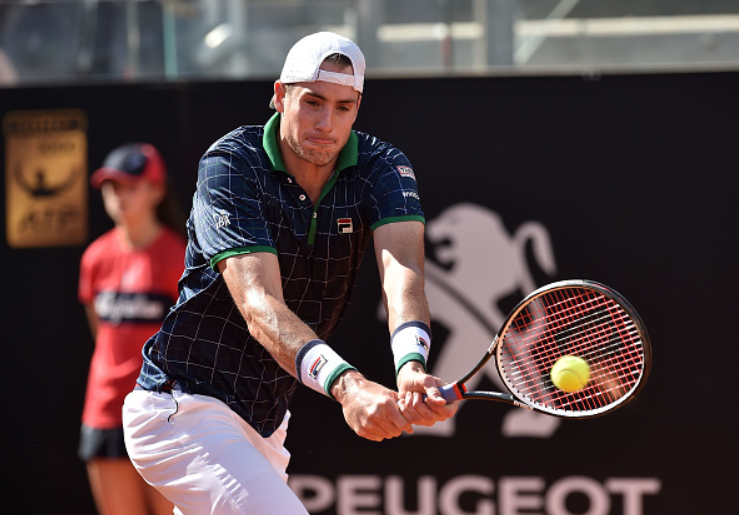 After a run of poor results, the 32-year-old American may have hit top form at just the right time, reaching the semi-finals in Rome just a fortnight before the start of the French Open. The former world number nine lost in three sets to Zverev, 4-6 7-6(5) 1-6, but will take heart from his extended run at the Italian Open regardless, as it should remind the top players that Isner is not a player they should underestimate. Coric was one of tennis’ rising stars from a young age, reaching a career-high 33rd back in 2015, aged just 18. He’s currently 40th, and has been inconsistent to say the least this season, but he did beat Andy Murray this month in Madrid to advance to the quarter-finals, where he eventually lost to Thiem 1-6 4-6. 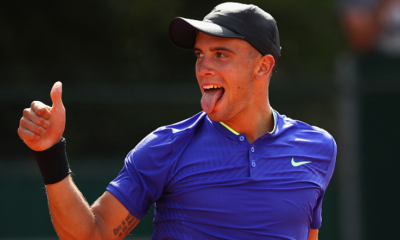 Coric can be a bit of an unknown quantity due to his inconsistencies, but when he is on the top of his game, he can be a threat to any player. The 22-year-old Brit reached a career-high 40th back in 2016, and he is currently 50th in the rankings. 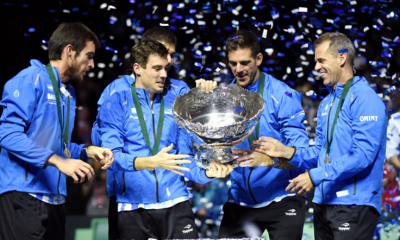 He was beaten by Juan Martin del Potro in Rome, Dominic Thiem in Barcelona, and Rafael Nadal in Monte Carlo, yet also beat Dan Evans, Jeremy Chardy and Lucas Pouille over the same period. Edmund is at the stage in his career where he can comfortably and consistently beat the lesser ranked players, but struggles against the world’s best players, which is no knock on his game. But if Edmund has ambitions to be a top 20 player, he’s going to have to beat them eventually, and he could be primed to do it at Roland Garros this month. Great Article George. also what your opinion on Gaels Monfils in the French open? He’s eccentric, I’ll give him that, talented too. But I’m not sure he has the consistency to challenge the top, top players. He had a great year last year, making the US Open semi-final and Australian Open quarter-final, but I do feel that’s his ceiling. I don’t think he’s got the game to play, and beat, the more consistent players that you have to game plan for.